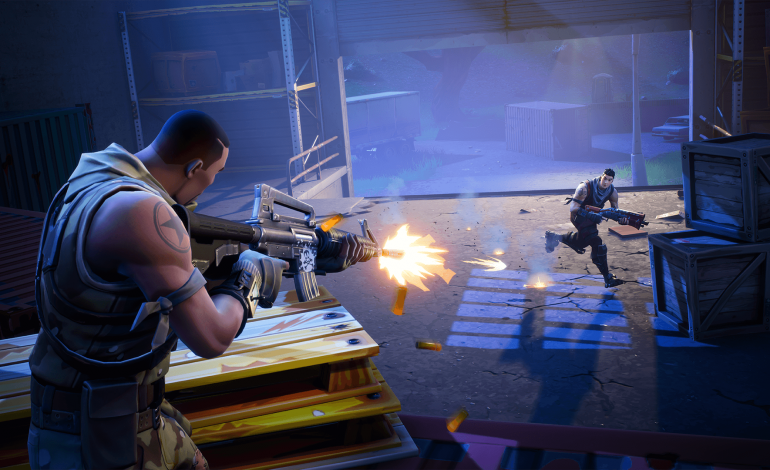 In July of 2017, Epic Games released an early access look at Fortnite, a co-op, sandbox survival-shooter. In September, the developers also released part of the title, Fortnite Battle Royale, for free on Windows, MacOS, Xbox One and PlayStation 4. Since its release, as stated by the official Fortnite Twitter, the game has now surpassed 20 million users. The title recently gained traction after its free release of Fortnite Battle Royale, and it has consistently been on of the most viewed games on Twitch. With this large increase of popularity, streamers such as DrDisRespect, Sacriel, and Shroud have played the game on their respective channels, further popularizing the game. The title’s take on the battle royale genre has many differences separating it that to of H1Z1 and PUBG. Players can gather resources from the world in order to construct buildings and structures in real time to suit their needs. In turn, other players can always destroy these structures, as well as demolish any pre-made structures. There are also only a few weapons in game, and to compensate, there are multiple variants of these weapons in different varieties. Each controls fundamentally similarly, such as grenade launchers dealing massive amounts of damage, and assault rifles being able to combat foes at a distance, but each rarity improves the stats of these weapons with each tier. Grenades from grenade launchers can travel just a bit further, or an assault rifle can have greater damage. The other parts of Fortnite, however, offer something much different. Instead of fighting other humans, players must work together to scavenge the world to build up supplies, and craft weapons, traps, and buildings in order to fight off hordes of zombies from trying to destroy important control points during the night. The game also features a class based system, with character progression via a skill tree through experience gain, and four playable classes. Soldiers buff allies and debuffs enemies while providing firepower support, constructors upgrade bases and provide attacks that damage multiple enemies, ninjas provide melee damage and have great mobility, and outlanders focus more on finding resources. All of this, and more, are coming to the full game of Fortnite sometime in 2018. In addition, all content is expected to be free-to-play along with the full launch of the game.